No home renovation project ever comes together without a hitch, and that’s why it’s important to have a punch list. So what is a punch list? A punch list is essentially your final checklist of a contractor’s work to make sure everything you wanted was done—and done right. So if you want to guarantee that you’re thrilled with your new upgrades, here’s what you need to know to put your own punch list together. Your original contract with your contractor should include a punch list (if not, request one), which then typically enters the picture near the end of the project, right before a contractor’s work is complete. 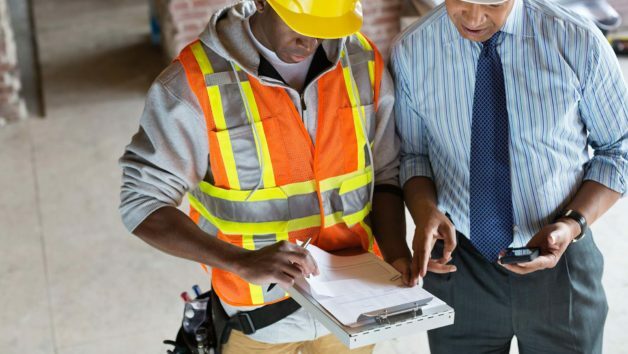 What to include on your punch list depends on the scope of your project; but in a nutshell, it should address not whether a project has been done by a certain date, but how good the results look. We’re talking quality specs. So for example, if you’re doing a kitchen renovation, it’s not enough that a plumber installed a sink, it’s that the sink should work without leaking. The cabinets shouldn’t just be installed, they should also open and close properly and be free of scratches. When you turn the knobs on that gorgeous professional stove, you should see it light up, not leak gas. A punch list should also list any damage that needs to be repaired, missing parts yet to be delivered, and work that remains incomplete. Keep in mind that these templates are just a starting point. You should customize them for your own project. Don’t use what you don’t need, and add any items you do. At the end of the project you will do a final review or walk-through with your contractor, checking all the items on your punch list. If you notice any flaws or final tasks, point them out to your contractor and ask that they be fixed. And if your contractor refuses? Depending on how your contract is worded, failure to complete the punch list can result in withholding final payment to the contractor (typically 10% of the total). In other words, if he doesn’t address any concerns on your punch list, he won’t get paid. Hopefully you’ve hired an honest contractor. In that case, your contractor should welcome a punch list, because it ensures the contractor will deliver his best work so he can continue to build his professional reputation. If you’ve hired “some guy” your brother knows or your unlicensed cousin, a punch list is still important, because it can help you both manage expectations and raise the project to a more professional level. All that said, a punch list shouldn’t take the place of regular communication between you and your contractor, and there shouldn’t be any surprises in there. It’s not a “gotcha!” document. It’s just something to help you both keep track of those last, lingering details that should be addressed before everyone parts ways.